Do you spend a lot of time in Google Drive? Then you will love these three tips that will ease the effort spent organizing files and folders there. You will also see free add-ons and software that make the job easier. 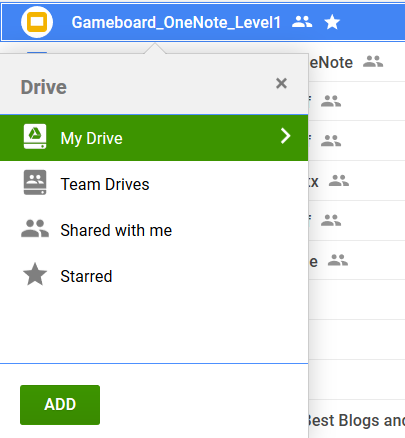 In this blog entry, you will learn how to organize (copy or move) files in Google Drive. Let’s get started! On my Windows 10 computer, I often create a shortcut to an original file stored somewhere in the cloud or my computer. This prevents me from creating multiple copies. While Google Drive search makes it easy to find the original version, you may want to see that original version stored in two or more places. This can be handy when you are presenting at a conference. Store your original materials in one folder. In the conference folder, you create a shortcut to the original. When you’re done, you can just throw away the conference folder. Highlight your file (single click). Navigate to the Drive folder you want the copy to appear. Folder Copy: This is a paid app ($2). Recommendation: Try Copy Folder first. Another possible tool to try is MultCloud.com, which (for Google Suites for Education) will require special permissions. You can easily use it on a personal Google account. 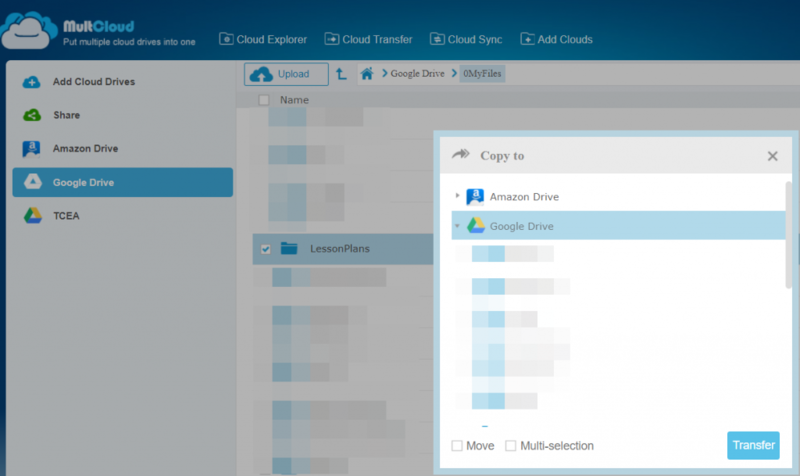 Multcloud makes it a simple matter to copy to and from various cloud storage solutions (e.g. Dropbox to Google Drive or vice versa). 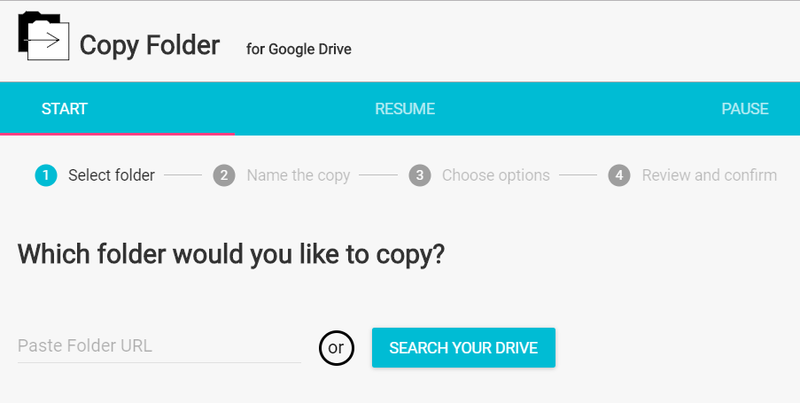 You can also choose to copy a single folder from one location in Google Drive to another. As shown above, Multcloud enables copying a folder (“LessonPlans”) from one location to another in the same Google Drive. You will need to decide which tool is best for the job. For those who have content sprawled among multiple cloud storage locations, Multcloud may be the better solution. If you work on a Mac or Windows computer, you may want to be able to interact with files and folders on your computer rather than going to the cloud version of Drive. 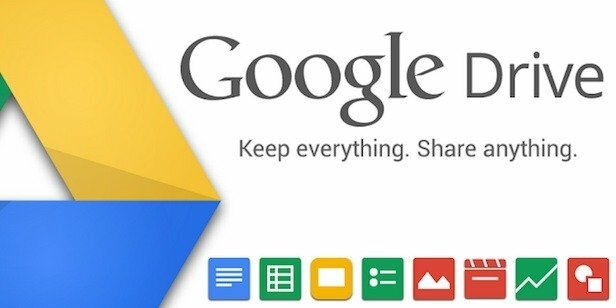 Get the Backup & Sync version of Google Drive. I use it to keep identical copies of my documents on all three computers I work on. 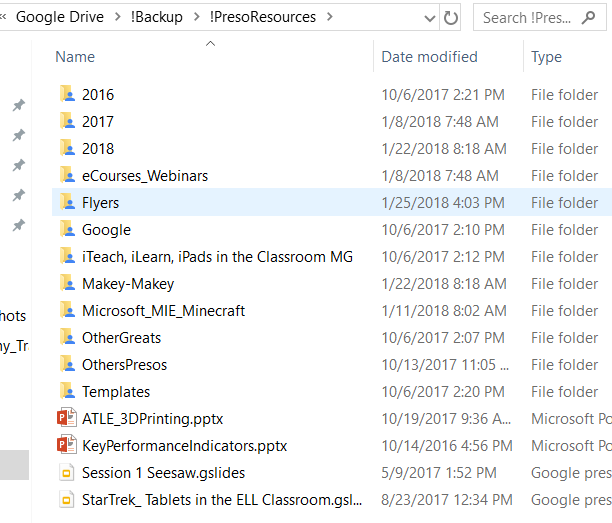 Everything I do is saved to Google Drive on my Windows computer. When I get home, I simply turn on my computer and wait for the files to synchronize. Before going on the road, I am able to turn on my laptop. 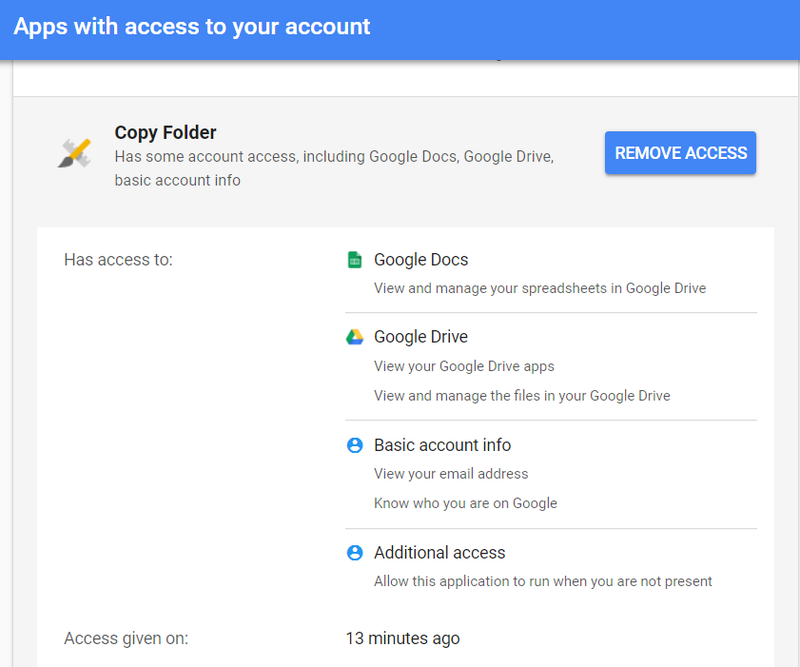 It will put or get files/folders as needed from Google Drive. Even better, I can turn on selective sync, a fancy way of saying to Google, “Save this but not that on my computer.” As you can see in the image below, you can copy-and-move files in a normal Windows 10 “File Explorer” space. One neat trick is using a third-party Windows tool like Free Commander (try muCommander for Mac or GNU/Linux). 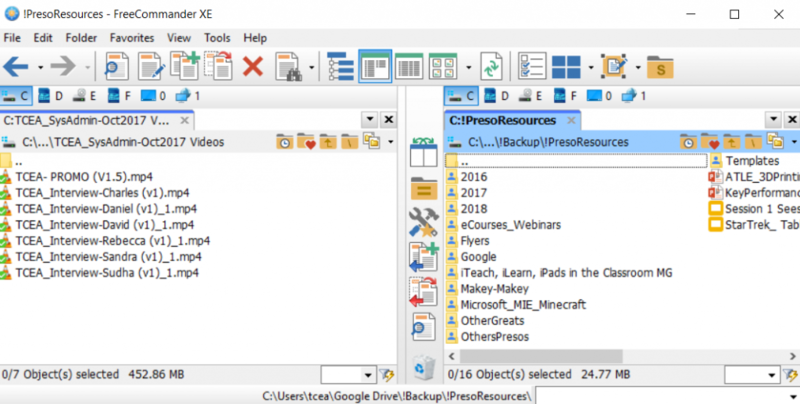 What’s cool about a free, no-cost file commander like Free Commander is that you can copy or move files between cloud storage locations on your computer. In the screenshot below, if you look closely, you will see Microsoft OneDrive on the left side and Google Drive on the right. Isn’t that incredible? Your computer becomes a “mixing board” for files scattered all over the place. These tools will ensure your files stay organized and easily findable. Is There a Virtual Assistant in Your Future?